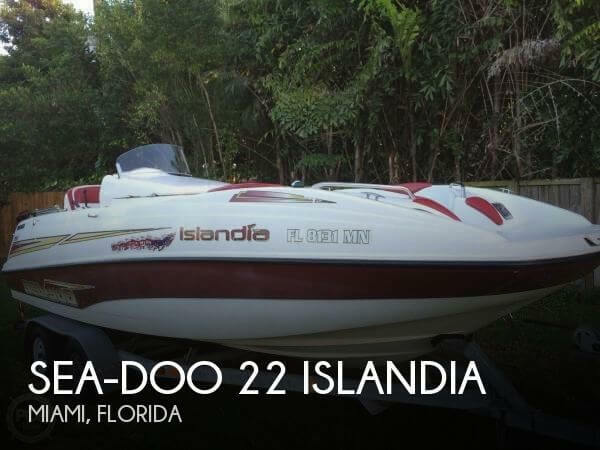 2003 Sea-Doo Islandia SE 2003 Sea-Doo Jet Boat, 240 Hp Mercury engine, about 120 hours use, 2 batteries with switch, fountain pump, fresh water pump, porta potti with changing room,powerful sound system with lights, cb radio, antenna, GPS/depthfinder, 8 foot bimini top like new, cover, tandem trailer with brakes, boat has everything, really nice. 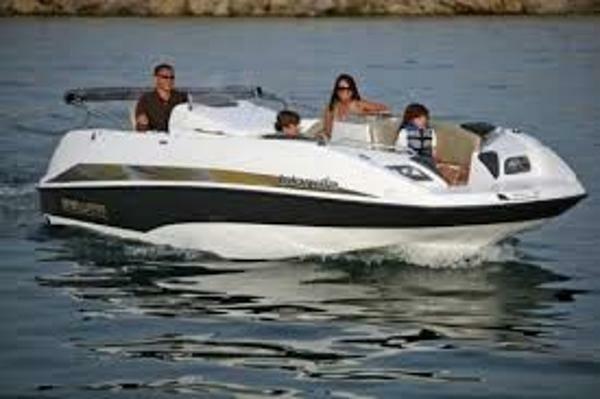 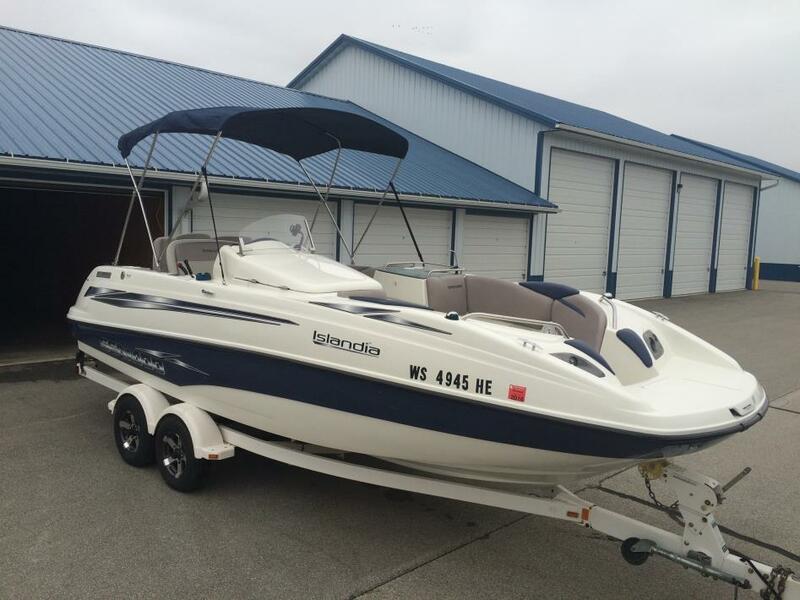 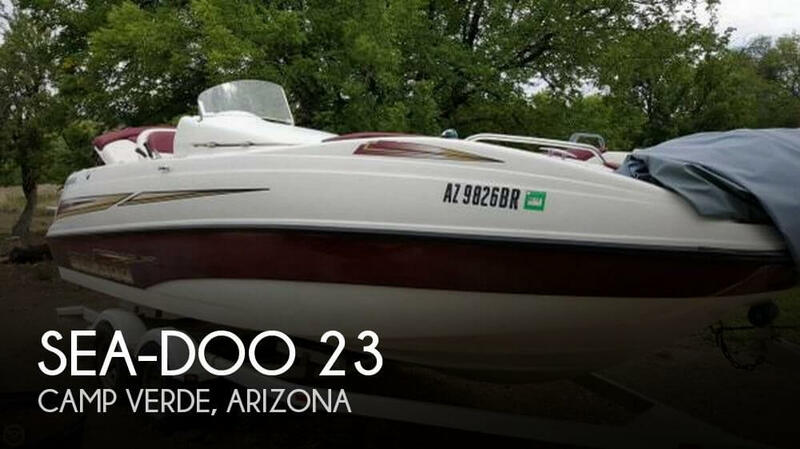 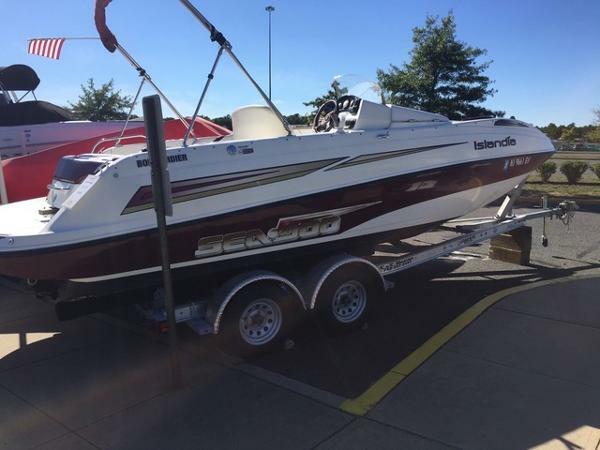 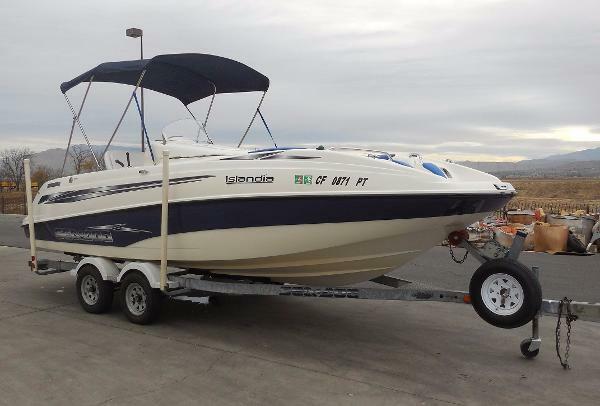 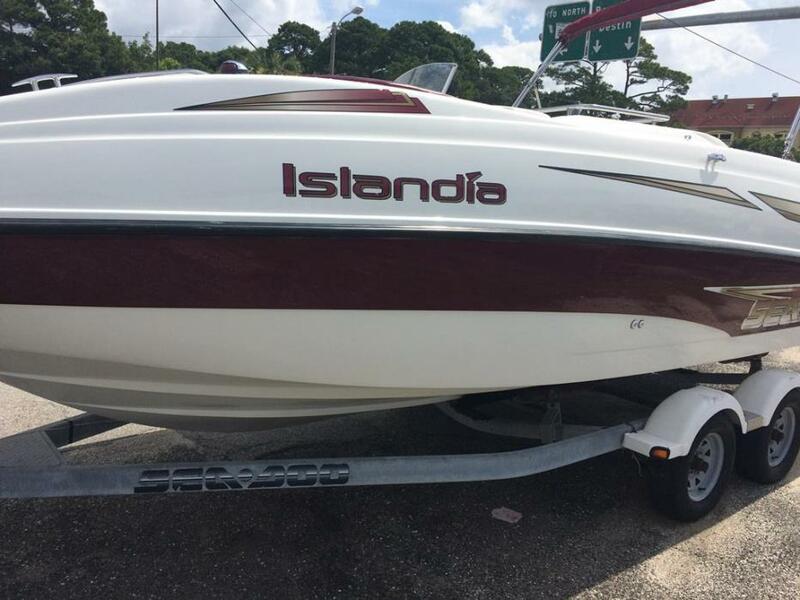 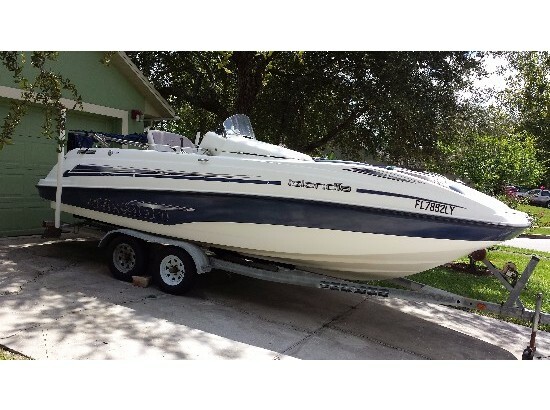 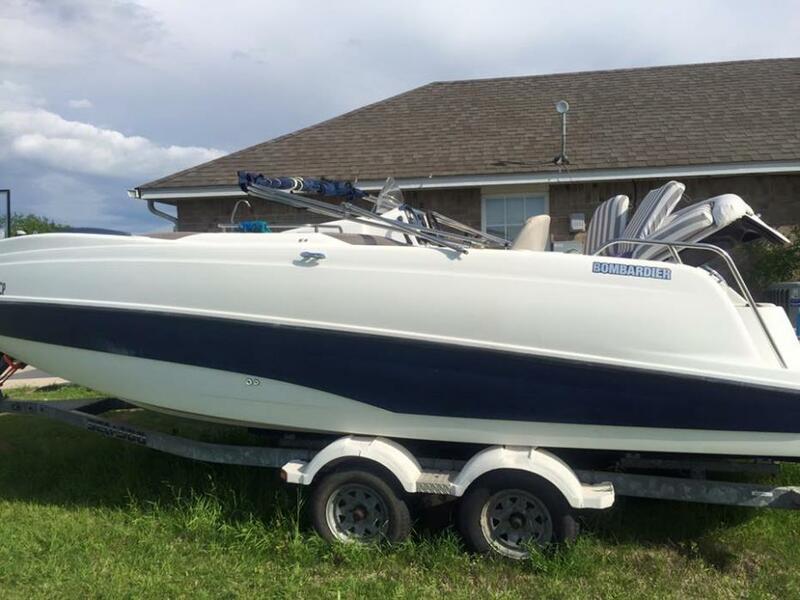 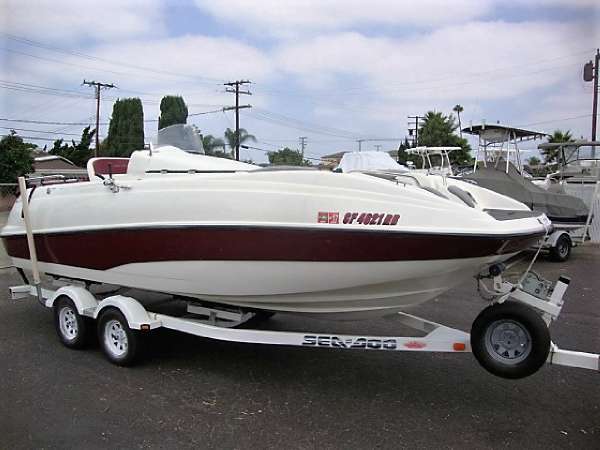 2005 Sea-Doo Sport Boats Islandia SE One owner, all fresh water use, never in salt, very low hours on the MercJet 250 HP Optimax direct injection jet engine that runs like new!!!!! 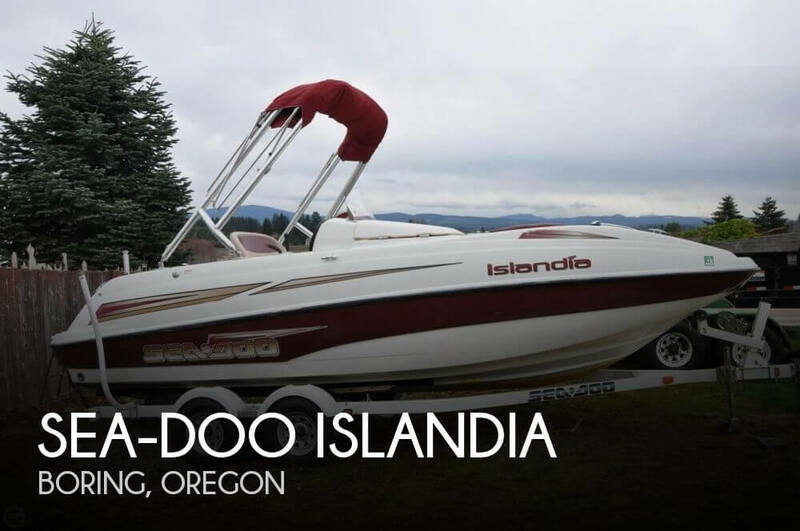 This boat has everything and everything works! 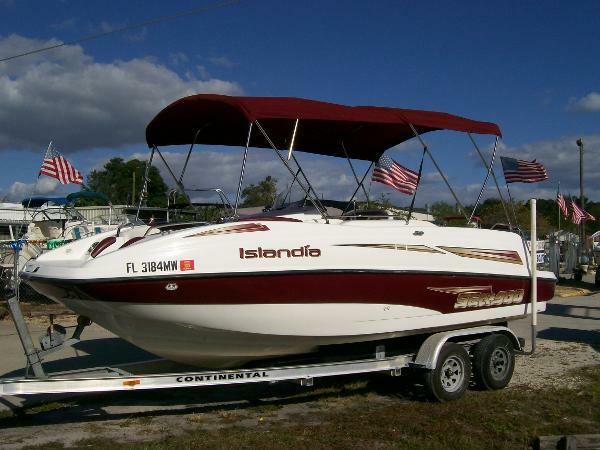 Double bimini tops, full fiberglass liner, self bailing cockpit, pop-up privacy station, galley with sink, removable snack table, boarding ladder front and back, battery switch, full gauges, stereo, depth finder, very shallow draft and the safety of NO propeller, the kids can swim in safety behind the boat with no worries of being injured. 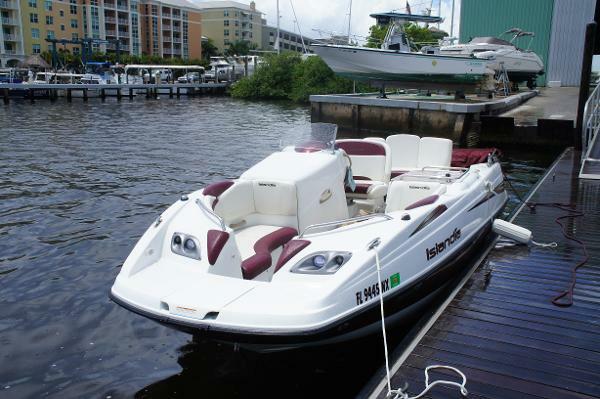 Seating for 10 !! 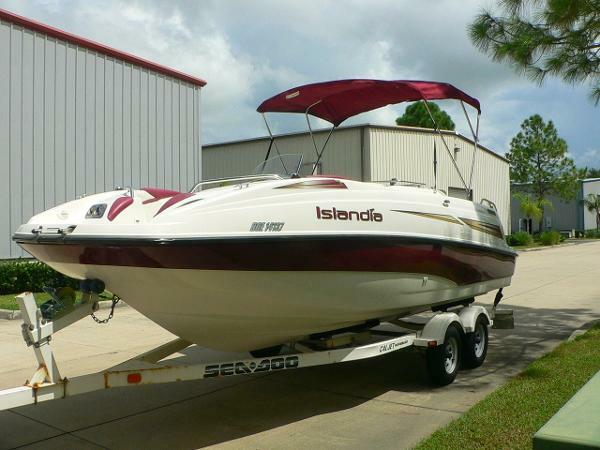 Great boat to own and very hard to find . 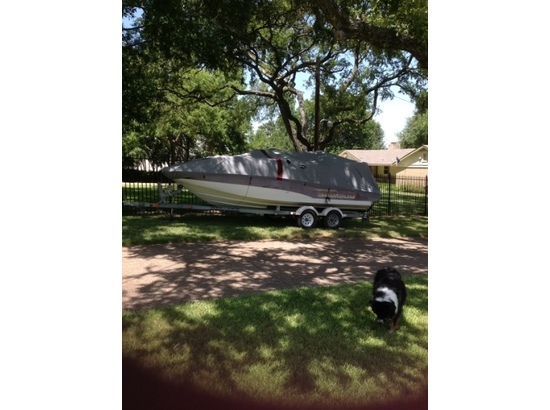 Comes with nice aluminum trailer.